RSS means Really Simple Syndication. Made by Dave Winer. 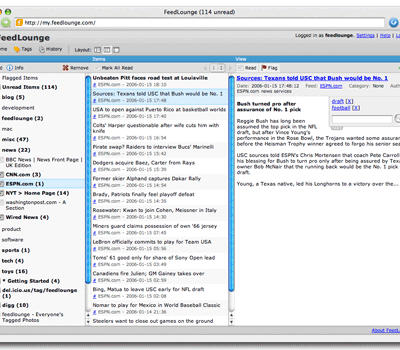 With RSS you can keep in touch with you’re favorite websites and blogs. You can subscribe to your favorite websites. 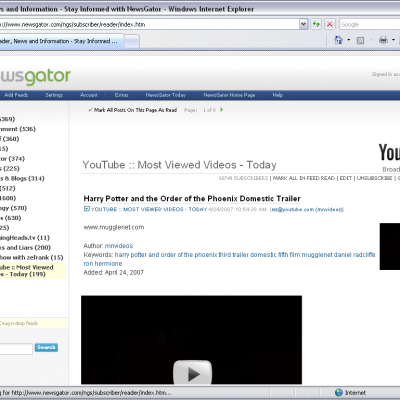 With an RSS reader you can save a lot of time. You don’t have to miss anything from you’re favorite website. It is anonymous so you dont get any spam and unpleasant messages. A quick overview of information from you’re interest. Google Reader Easy because almost everybody got a google account. You can choose from regular sites like BBC or The financial times and add you’re own. 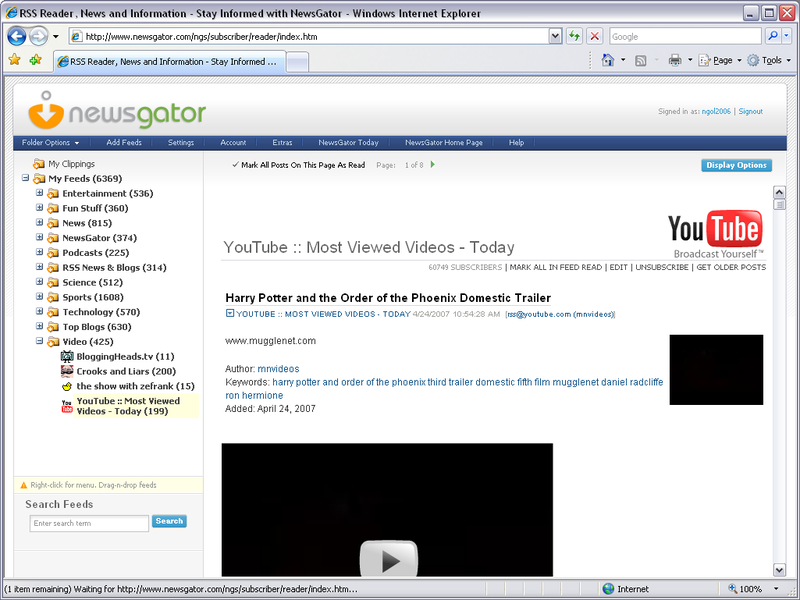 Newsgator RSS reader with a beautiful design. Like the most readers you can categorize the websites. Times Most RSS readers doesn’t look good. 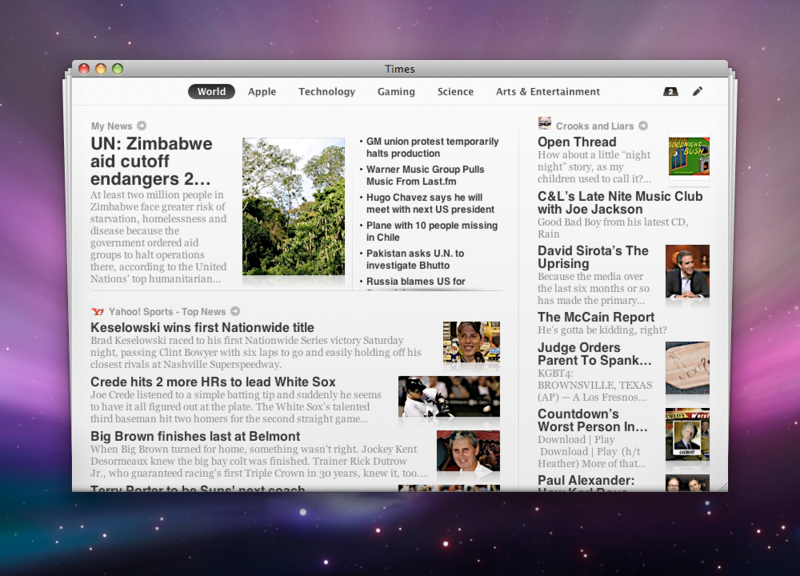 Times made an RSS reader that looks like a newspaper. This is very innovative software because most readers look like mail programs. You can make youre own categories, create headlines and separate areas. This mac only program costs 30$, the trial is 14 days. 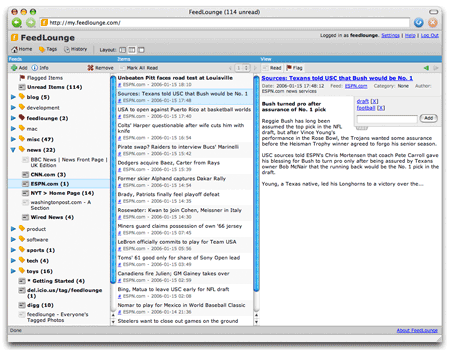 Feedreader “Feedreader is a FREE RSS news aggregation solution that provides robust, state-of-the-art features in an intuitive, user-friendly environment.” says feedreader.